Myanmar, a UN member state, has much cooperation with the global body and respect for it. Native ethnics are unhappy with the UN comments on the Rakhine State that are totally contrary to the situation on the ground as the global organization just uses the recent crisis as the base without taking into account the long and emotional history. The crisis in Rakhine State can be solved only through the comprehensive knowledge of the historical facts, said Commander-in-Chief of Defence Services Senior General Min Aung Hlaing at his meeting with Under Secretary-General for Political Affairs of the UN Mr. Jeffrey Feltman at the Parlour of Bayintnaung Villa here this afternoon. Also present at the meeting together with the Senior General were Chief of the General Staff (Army, Navy and Air) General Mya Tun Oo and senior military officers of the Office of the Commander-in-Chief (Army). 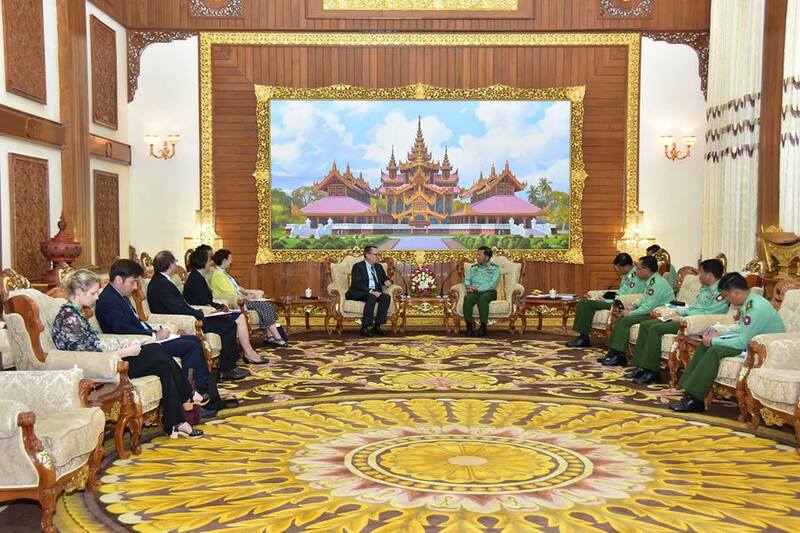 The UN under secretary-general was accompanied by UN Resident Representative and Humanitarian Coordinator for Myanmar Ms. Renata Dessallian and officials. 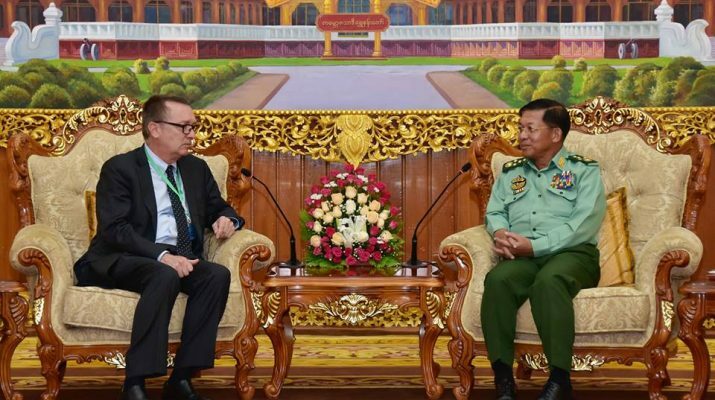 At the meeting Mr. Jeffrey Feltman said the Rakhine State issue has become the centre stage of the world. There is a 180-degree difference between the international view of the situation and what Myanmar is actually doing. He said he is not here for argument, but for accelerating the Myanmar government’s actions through the UN. He said he knew that the local people do not accept the UN undertakings. He said UN will render long and short-term assistance for the government’s endeavours. The UN has already demanded the termination of the use of violent means and force in Rakhine State, the arrival of humanitarian aid and the resettlement of the persons who are in the other country. In so doing, he asked about security measures for local people as efforts cannot be made without security. 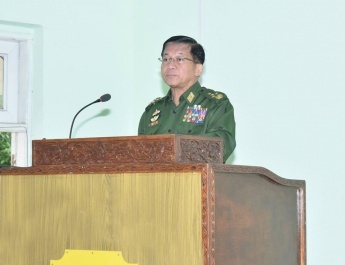 In response to the discussions, the Senior General disclosed bitterness of local Rakhine ethnics over Bengalis, saying that they came from Bengal, so they were called Bengalis. The Senior General said he would like to note at first that those Bengalis are not Myanmar ethnics. A true history cannot be covered that those Bengalis brutally killed more than 20,000 local Rakhine ethnics in Alethankyaw unrest in 1942. Moreover, he continued to say that there are many villages with the names of Rakhine in Maungtaw region where Bengalis reside currently. So, Rakhine ethnics have bitterness for their land plots illegally possessed by Bengalis. With regard to the incident of 25 August, the Senior General said that about 4,000 ARSA extremist Bengalis terrorists committed terror attacks at 30 police posts and the headquarters of one military unit with waves of strength. It needs to consider how to defend about 200-300 terrorists each who attacked 10-15 members from small police posts with the use of sticks, swords, spears and small arms in addition to home-made grenades. As such, members of security force were killed in the terrorist incidents while Bengali terrorists were also dead. However, anyone of the Tatmadaw did not beyond the rules and laws as the Tatmadaw systematically commanded and controlled them under the Rule of Engagement-ROE from the time of starting terror attacks to date. Action will be taken against those under the law for their acts breaking the disciplines and laws. 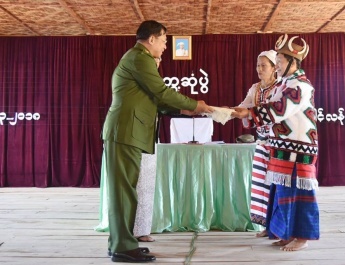 Local people did not accept the accusation that the Tatmadaw solved the problem of terror attacks with larger strength. Thanks to security measures taken by the Tatmadaw in time, number of loss of lives of innocent people, service personnel and police could be reduced. Up to now, as some threats are made to commit more terror attacks, local people are worrying about their security and safety. Therefore, the Tatmadaw needs to take security measures for local people. 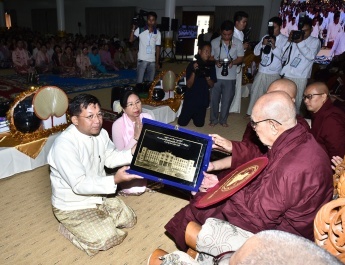 With the respect to the feelings of indigenous people about humanitarian aid, Bengalis made up of 95 percent of the total population in Buthidaung and Maungtaw regions while indigenous people accounted for five percent. It was regarded as acts of bullying with the help of foreign organizations including the UN at a time when the majority Bengalis killed the minority ethnics. In addition, ethnics were suspicious of the seizures of foreign relief aid and assistance at Bengali terrorist camps. So, they refused to accept aid provided by the UN and INGOs. The UN needed to carry out the delivery of assistance fairly and equally. Any organizations may contact the Central Committee for the implementation of Rakhine State Peace, Stability and Development led by State Counsellor Daw Aung San Suu Kyi and respective organizations. Thus, Bengalis themselves needed to accept the fact that they were Bengalis, not Rohingya and were to participate in the citizenship scrutiny process in accord with the existing laws in order that they could win the trust of indigenous people. They would get citizenship status and could enjoy citizens’ rights after the citizenship scrutiny process under the 1982 Citizenship Law though they came from Bengal. The Senior General urged the latter to ensure that Bengalis participated in the citizenship scrutiny process. The participation of citizenship scrutiny process in accord with the law could reduce tensions between the two communities. It needed to change the view that assistance provided by INGOs was intended only for Bengalis, not for ethnics through the fair distribution of aid. Both governments negotiated a plan to scrutinize and re-accept those who were in Bangladesh in accordance with the 1993 Agreement. Soon, officials from Bangladesh would visit Myanmar to discuss it. The process depended on the results of the meeting. The Tatmadaw would provide necessary assistance to it. 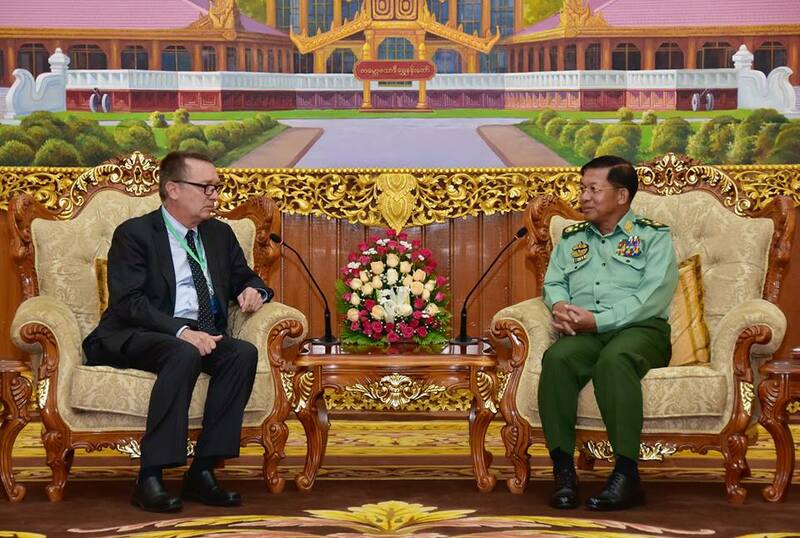 The Senior General said the Tatmadaw would implement the UN’s suggestions as much as it can. 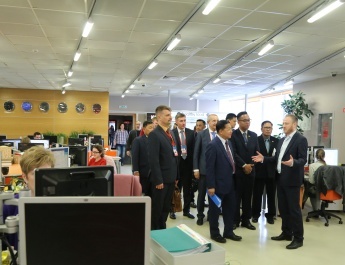 After the call, the Senior General and the UN Under Secretary-General for Political Affairs posed for documentary photo together with attendees.